What it is: This is my first time of using this brand and this mask and I must say, the experience was great. Dermask Clearing Solution Ultra-Fine Microfiber Sheet Mask is a silky, hydrating sheet mask, made of soft microfiber that addresses trouble-prone complexions by soothing redness and inflamed skin from acne and preventing pigmentation. Glutathione Antioxidant properties & brightens complexion. Bisabolol: Derived from a natural plant, inhibiting melanin generation; brightens. What it claims: This mask is good for evening out skin tone, brightening and improving the appearance of dark spots and discoloration. It contains salicylic acid, tea tree oil and niacinamide, which controls excessive oil and breakouts for a clear luminous skin. To Use: Using a sheet mask is the easiest thing ever, compared to regular clay mask. Literally all you have to do is open, spread, apply. Easy 3 steps, but lets take it in steps for newbies. 1) Cleanse your face and apply your toner, for a clean face. 2) Open mask and peel off the film liner. 3) Place on your face, make sure the eyes and mouth holes are well adjusted and comfy. 4) It says to wear for 20 min, but you know me, for the price no serum is going unused. lol I wear it for an hour. (Until the serum is fully absorbed). 5) Peel off mask and rub the rest unto my neck. 6) Do not wash your face afterwards, just let it sink in over night. 7) Wake up the next day and see the goodness! GLOWING!! Result: This mask is so amazing. It is very easy to use. It's really good for people with oily skin. Of late, my skin changed from really dry skin to combination skin where my T-zone area is oily now. (I'll address in a later post). It really controlled the oil. 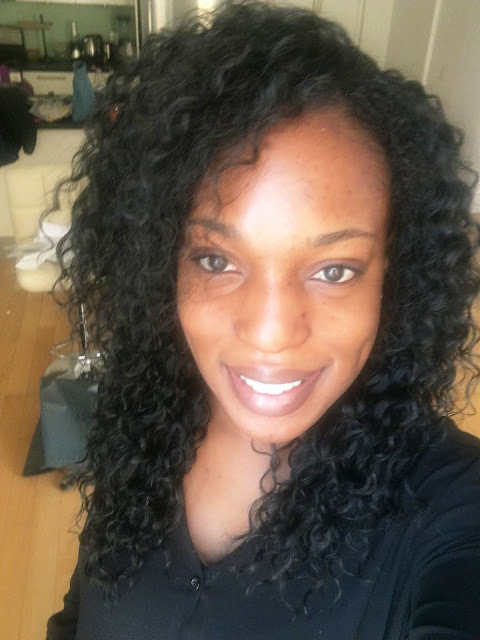 My skin felt soft, smooth, and the serum absorbed quickly. I notice the acne on my face disappeared by the next morning must be because it contains salicylic acid. It really hydrated my skin without being too greasy. Over all my face was looking very bright and GLOWing!! I think it has now become one of my favorite sheet masks! When to use it: I used this at night right after my night face wash, before bed. I'll try to use the mask at least once every two weeks, or if I see I'm starting to break out, I'll throw it on ASAP, so maybe once every two weeks. Touch &Feel of my Skin Afterwards: Great for oily skin, my face felt plump, hydrated, soft, smooth, and healthy. Acne disappeared after just one use. I definitely recommend this product. *This is a picture of my face the morning after! No make up on. 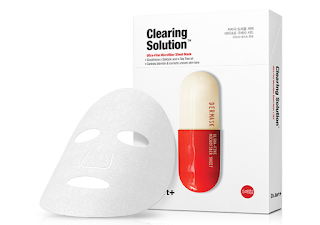 Have you ever tried the Clearing Solution Ultra-Fine Microfiber Sheet Mask by Dr. Jart+? Did you get great results too? Let me know.